Living up in the North West part of the US, Authentic Mexican food is extremely hard to come by. I had never known what “authentic” Mexican food really was until Jordan and I took a trip down to visit his family in San Diego 5 years ago. That trip defined so many things for me including my new favorite foods! and honestly it looked like a fast food restaurant out of a 1970’s murder series. -no sign of people and the restaurant honestly looked more like a shack. There were only a handful of items on the menu board and I had no idea what any of them were. Jordan reassured me that all of their food was good and I should trust him so I said alright order me whatever it is you have been talking about. sent straight from the heavens! I think about California Burritos quite frequently ever since..
and I day dream about the Tres Hermanos overnighting me a few to heat up the next day😋 —if only I could learn how to make a Cali Burritooooo! but I got to learn how to cook a few different things myself! I’m so thankful for the tricks I learned while i was there! Especially for some super easy, quick and basic, but authentic Mexican food! I cant wait to share more later! As some of you may know already, Mexicans don’t measure their ingredients. I’m sure other cultures are the same. When I was taught everything I was told to “eyeball it” so, I do the best I can! 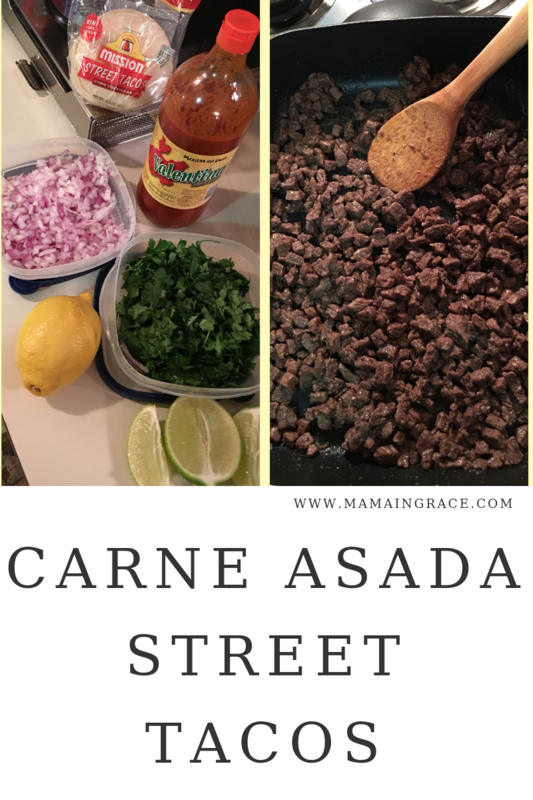 Over the years of making Carne Asada on a frequent basis, I have tweaked the recipe to what we like as a family, so that is the version you will be getting from me! Feel free to make changes on whatever you think would work best for you and yours. This recipe is heaven when it’s made correctly! Originally I was taught to make authentic homemade tortillas. I was even given my very own tortilla press to use! So cool! All you do is half white flour and half corn flour (ma seca) and a little bit of water.. she said. I thought it would be amazing to make these yummy soft and warm corn tortilla on my own. but I still STILL haven’t gotten the proportions correct. *If you find some with a big strip of fat (suet) on it, that’s best! -Beef suet a good thick strip of it or whatever you can find- but this is essential to making street tacos! -1-2limes ( whatever you may think you will use) we always use 2! The thing about authentic Carne Asada is also to cut your meat the right way. To make cutting easier if you don’t have the sharpest of knives, freeze the meat for as long as you can and cut it while it’s frozen. It makes cutting off the slab of fat and dicing up the meat so much easier! After you are done cutting up the meat- place it all in a bowl and add in the seasonings. Squeeze in the juice of all the lemons and let marinate for as long as possible. Obviously the longer the better. *Sometimes we don’t let it marinate for long at all when we are in a crunch to make dinner! * It tastes good either way! When it’s done marinating put the meat in whatever its cooking in. Along with the meat, add in the fat that you trimmed off and cook on low-medium. All of the juices and fat will rise over the meat and make everything look kinda soupy. Don’t panic! That’s normal! Once it gets to that point to where it’s boiling I like to raise the temperature a little over medium. This makes the meat lock in all of the juice. and it will begin to crisp up on the outside. In the meanwhile, I cut up my onion and cilantro. *My tip for rinsing cilantro: rinse the whole bunch under cold water, sprinkle salt all over it and with your hands, gently move it all around. Then rinse off again. Then grab the bunch by the stems and gently but vigorously, shake while it’s upside down above the sink and it should dry out pretty good. If there is still have a lot of moisture in the bundle -grab a paper towel and squeeze it to help soak up whatever is left. Slice up your limes as a condiment. Last, I warm up a flat Teflon pan on my stove top on about low-medium heat. Once the pan is warmed up: Place stacks of two tortillas on the pan and let them sit for about a minute before you flip. Depending on the stove, the temperatures need to be adjusted a little bit so just make sure the tortillas are warmed up! -don’t cook them too long though as they will get extremely dry and crispy! sprinkle on onion and cilantro on top of the already warmed up tortillas. I like to squeeze a lime wedge over the top off all of them before I add my hot sauce and start eating them! I couldn’t even wait to eat a taco before taking a picture for you guys, so this is the best I have for finished product! Yummy authentic tacos. At times we will make refried beans to go as a side dish- my hunny likes to put it on his tacos! – I like to eat it on the side. Also, Check out these delicious drinks that pair nicely! and squeeze a fresh lemon over the top. Feel free to share with your other friends who may crave those authentic street tacos as well!! Super yummy I am the kind of meat I love, to share! I love Mexican food. In some ways it is so similar to a few Indian food dishes that it almost feels like home whenever I go out to eat Mexican dishes. 😊 This recipe looks so yummy. I am going to try it out this weekend. Now I’m salivating! I visited a Mexican restaurant and ate some tacos. Since then, I’m all for tacos. And you make them just perfectly! How yummy..
Wow! Really making my mouth water. Waiting to try some day at home. The food looks super delicious! I would love to have some now. Mex variations are always nice for my mouth. I got exposed to Mexicsn food during my visit in California two years ago and i inadequately falling in love with the hot and spicy in this cusine. Thanks for this post. I am salivating right now…I love Mexican food! Super-yummy… but I guess I have never had an authentic Mexican dish. Carne asada is SO, SO good! And street tacos?! Love ’em. Living in Texas, we have all kinds of Mexican food options, but making those same meals at home adds a whole different flair to them! Yum! This recipe sounds so delicious! I live in the Pacific NW and while certain parts are definitely hard to find great Mexican food, in my town, we’ve been blessed with some really tasty Mexican restaurants comparable to SoCal. Carne asada is one of my favorites to make when family come over. Would love to give this recipe a try.